Horizon Technology is known for their innovative vaping tanks and re-wickable coil systems. This is not surprising because Horizon has always had the goal of extending the life of your consumables and providing their customers with more pleasurable vaping experiences. As characterized by their vape products, Horizon prides itself on a simple and elegant design trend. They emphasize superior functionality, top manufacturing techniques, and the best quality they can provide. As other companies continue to engage in price wars that ultimately lower product quality, Horizon Tech does not compromise on the overall quality and functionality of the products. Our selection of tanks and coils are among the most innovative and popular options that are out there. Any seasoned vaper understands the importance of the vape tank in their electronic cigarette. The vape tank can enable you to enjoy thicker plums of vapor and a much more enjoyable vaping experience. The innovative tanks from Horizon Technology contain a flax paper that can enhance the production of vapor fumes and to produce vape juice flavor with a refined taste. 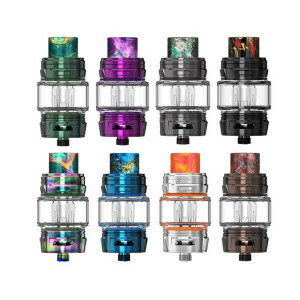 Horizon Tech tanks can offer excellent low resistance for those who like large clouds of vapor. This is possible due to their use of organic cotton and kanthal wire. Horizon tanks are also the epitome of convenience and innovation. Their sub-ohm tanks feature a top filling design and a splash-proof back vent. This means that loading the e-liquid is a convenient and straightforward process, and any spills from the tank can be minimized even while you’re on the move. For your sub-ohm tanks to truly live up to their potential, they need to be powered by reliable and effective coils. 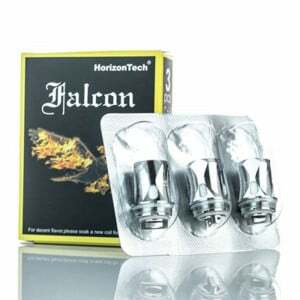 Horizon Tech offers top quality and innovative coils that are designed to fuel the tanks for superior performance. Many of the Horizon coils are capable of using organic cotton and tolerating power of up to 120 watts. They keep the tank fired up over long periods without causing you to end up with dry vapes. Horizon coils are also made of stainless steel and Clapton wire for a truly durable design. They can withstand the wear and tear of e-cigs and provide thick and flavorful vapor for longer than most other coils. And because Horizon Tech is known for superior functionality and adherence to quality, customers can’t go wrong with their wide selection of coils. If you need replacement coils, most come in packs of five that offer even more using time.